A research group of the Institute of Material Science (ICMUV) and the Department of Applied Physics and Electromagnetism of the Universitat de València take part in the new European Union initiative called Quantum Flagship, an opportunuty for quantum innovation with a budget of 1 billion € for 10 years. About 5,000 European researchers will participate in this project. The recently inaugurated Quantum Flagship of the European Union has been driving quantum revolution in Europe. It has brought together more than 5,000 researchers from academic institutions, research centres, industries and companies. By putting effort and resources together, it has led Europe to the borderline of Quantum Innovation on a large-scale collaborative initiative. The main Flagship objective is to consolidate and expand scientific European leadership and excellence in quantum research, as well as transfering quantum results from research laboratories to the market by means of commercial applications and disruptive technologies which have a direct impact on European society. The ICMUV group and the Deparment of Applied Physics, formed by Daniel Andrés Penares, Marie Kreĉmarová, Alejandro Molina Sánchez, Juan F. Sánchez Royo and Juan P. Martínez Pastor, take part in one of the 20 committees selected for the first phase of the Quantum Flagship. 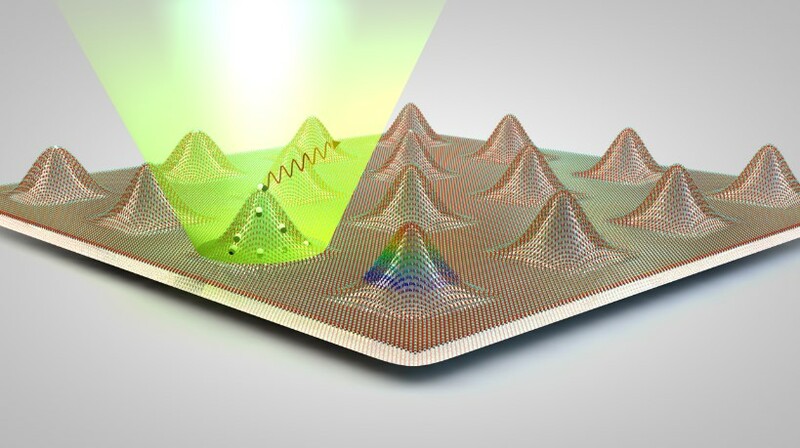 This project is called S2QUIP ‘Scalable Two-Dimensional Quantum Integrated Photonics’. In this project, they will develop quantum photonics through the integration of two-dimensional semiconductor materials compatible with CMOS techonology, which is widely used in the fabrication of traditional integrated circuits. S2QUIP’s main goal is to develop issuing sources of quantum light based on two-dimensional semiconductors. Their advantage consists in the possibility of extracting light in the photonic circuit in an easy and economical way. In this way, the development of optical devices that use the quantum possibilities of light and matter will have applications in the field of signal encryption and safe communications. The challenge faced by S2QUIP is the integration of these quantum light sources in integrated waveguide circuits in order to build a completely functional platform for quantum photonics. If it turns out to be successful, the results of the S2QUIP project would solve many bottlenecks described in the USA and EU work plans for the development of marketable techonology for Quantum Information. The S2QUIP committee, in which the Universitat de València group is included, is lead by Klaus Jöns, from the KTH Royal Institute of Techonology (Sweden). Other researchers from Aalto University (Finland), IMN-CSIC (Spain), Heriot-Watt University (United Kingdom), Technical University of Munic (Germany) and the companies VLC Photonics S.L (Spain) and Laser Quàntum GmbH (Germany) also take part in it. PHOTO: Generation of quantum light sources in two-dimensional semiconductors.